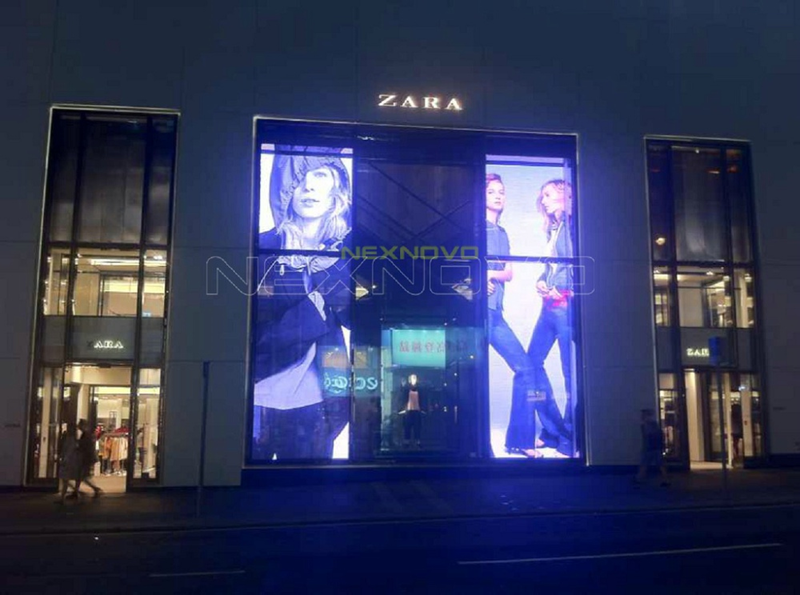 ZARA is the world's largest clothing chain brand, the flagship store in Queen's Road Central Hong Kong opened in June 2014, it covers an area of 2000 square meters with total four floors. 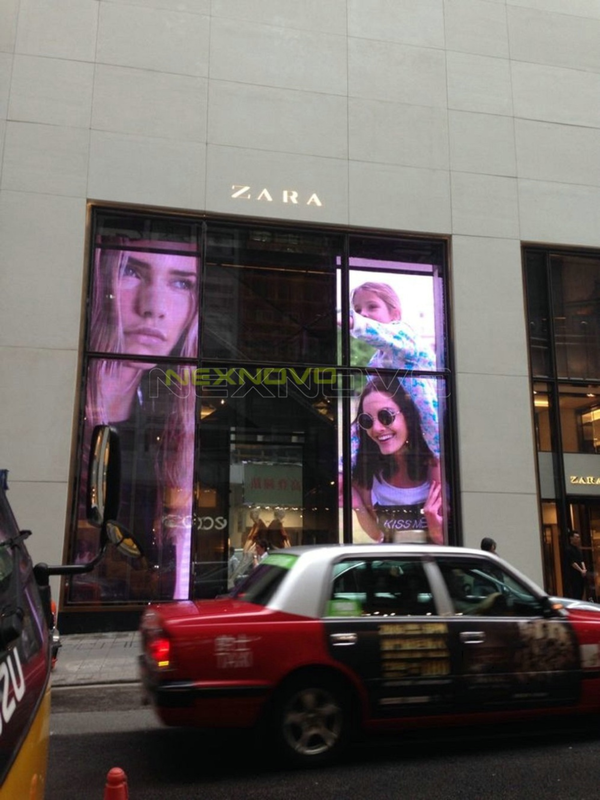 The store specially using NEXNOVO transparent LED display for decoration, including 2 set of XW10 transparent LED screens with dimension of 2.56 x 8m, which mounted on both sides of the main entrance. 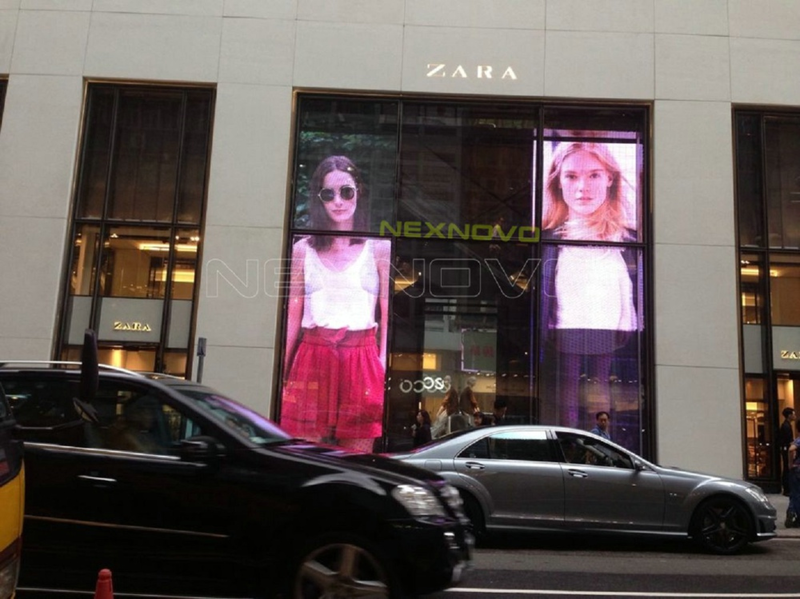 NEXNOVO transparent LED display adds technology element for ZARA and strongly highlight fashion awareness of ZARA brand, who is known for quickly promoting the most popular design clothing.